A multiple car accident often has multiple issues that can be confusing and be a source of anxiety and distress for a severely injured motorist who finds that no one wants to accept responsibility. A 3 car pileup is not that unusual on roadways with heavy traffic or when foggy or severe weather obscures visibility leading to chain reaction mishaps, some of which cause catastrophic or fatal injuries. Fault in any injury accident is imposed on a party whose negligent conduct substantially caused the accident. In a typical multiple person car accident, the lead or front car has come to a stop, either suddenly or not before being struck from behind. In a typical scenario, the first tailing car does stop in time but is struck by a third vehicle, causing the second car to impact the rear of the front vehicle. In this case, the third or last tailing vehicle is likely at fault. In other more complicated scenarios, the first tailing car does strike the stopped car because of tailgating, speeding, impairment or distraction. In turn, a third car collides with the middle car in the rear, causing a second impact to the first car. In this case, both tailing cars are likely at fault since all motorists have a duty to maintain a reasonable distance from the car in front. Complications arise when the middle motorist claims he did stop in time but was pushed into the lead vehicle by the third car. Even if the lead driver felt two impacts, the middle driver could claim his car was struck twice in the rear. Unless the front motorist or others witnessed the collisions, there is no real definitive evidence supporting one version over another. Regarding injuries to the front or leading motorist and any passengers, it is also possible that the middle driver could claim that his impact was only slight and could not have caused any injuries, or only minor ones at best, and that the severe impact from the third car that propelled his into the rear of the front one was the cause of the front motorist’s serious injuries. 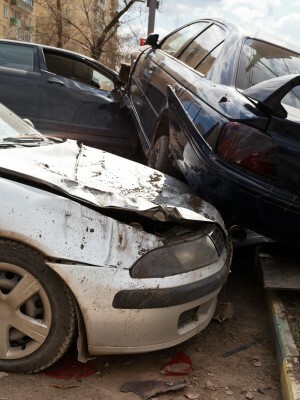 Handling a 3 car pileup or multiple car accident case requires special handling by an experienced personal injury lawyer. Insurers will take the word of their insureds in many cases like these where liability is not so easy to discern. If all parties are entrenched in their positions and no one is willing to assume accountability, it is best that your multiple car accident lawyer file a lawsuit. One or more of the parties will have to pay since at least one was negligent. Since Massachusetts is a no-fault state, you will receive PIP, or personal injury protection, benefits in any case for lost earnings and medical expenses to $8,000. Burns & Jain have handled complicated multiple car accidents with great success in getting his clients the compensation their injury claims deserve. 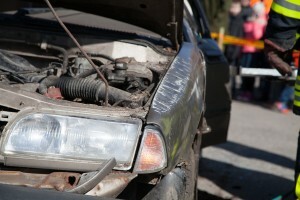 By taking depositions, investigating the property damage to each car, interviewing witnesses and even retaining reconstruction experts if necessary, he has either found inconsistencies or flaws in statements of the involved parties or forced all motorists to contribute to a settlement that is satisfactory to his injured clients and their families.